Designed by London architect Sir John Soane in 1811, Dulwich Picture Gallery is the world's first purpose-built art gallery and holds one of the most celebrated collections of European Old Master paintings. Works by Rubens, Poussin, Van Dyck, Rembrandt, Watteau and Gainsborough contribute to the collection of European Old Master paintings spanning the 1600s and 1700s. Originally part of a portfolio of paintings amassed by the King of Poland in the 1790s, the works were transported to the 'clean air of Dulwich' for safekeeping when Poland was partitioned. Soane's design for the gallery proved highly influential. The use of natural and overhead lighting combined with a clear layout of interlinked rooms set a precedent for gallery design world-wide. Don't be fooled by the out-of-town location of the gallery; Dulwich - a pretty 18th century village on the edge of the capital - proves the ideal setting for this small, traditional collection which cautiously hints at its universal significance rather than shouting it from the rooftops. Throughout the year the gallery mounts critically-acclaimed, crowd-pulling exhibitions. European Old Master paintings, John Soane gallery design and architecture, acclaimed events and exhibitions. What are the best dining options near Dulwich Picture Gallery London? Dulwich Picture Gallery gyms, sporting activities, health & beauty and fitness. The best pubs near London Dulwich Picture Gallery. 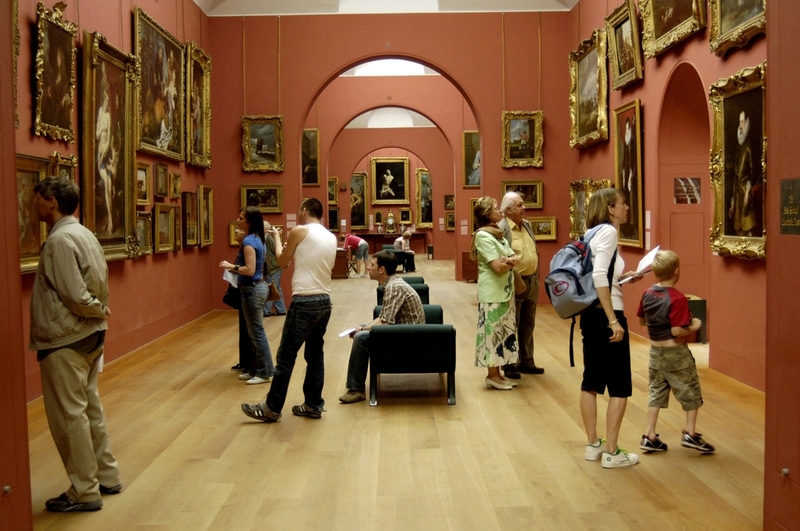 Dulwich Picture Gallery clubs, bars, cabaret nights, casinos and interesting nightlife. Where to have your meeting, conference, exhibition, private dining or training course near Dulwich Picture Gallery. From cheap budget places to stay to luxury 5 star suites see our deals for Dulwich Picture Gallery hotels, including DoubleTree by Hilton Hotel London - ExCel from 67% off.